You might have noticed that I had a special post yesterday. Sunday’s post was the inaugural “What’s new with SU” blog hop! We had Stampin Up Demonstrators from all around the world participating. I hope you enjoyed seeing all the great projects using brand new products. If you missed out on the Hop you can see my page here, which will lead you to the other pages in the Hop. Today I’m sharing one of my Make & Take projects from the Just Crop scrapbook retreat that I worked this past weekend. These retreats are always a lot of fun. If you’re looking for some time away with your girlfriends, this is the place to be. Father’s Day is coming in a couple weeks so this was the perfect opportunity to show Dad some love. This was also the perfect opportunity to break out my brand new Stamparatus. The Stamparatus is the perfect tool for repetitive stamping. 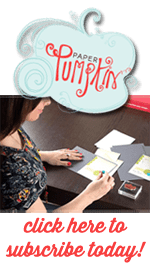 Our new stamping platform makes it so easy to stamp lots of cards in a short amount of time. For this card, I was able to stamp both the tree stump and the “to thank you for all you do” at the same time by using the platform. The Rooted In Nature stamp set isn’t specifically designed for Father’s Day, but it makes great masculine cards. The coordinating die set makes cutting out those leaves super easy. There are a couple dies in this set that don’t actually cut anything out. Instead, they are used to emboss the image. If you notice the green leaf above, it has that pretty veining in the leaf. This is one of the embossing dies. I love the added texture of the leaf. Dad’s Day is thirteen days from today. If you haven’t started planning your Father’s Day card, now is the time to get moving. There are tons of great choices in the brand new Annual Catalog that would be perfect for Father’s Day cards and crafts. If you need help with suggestions or coming up with a design, just let me know. I am here to help you!